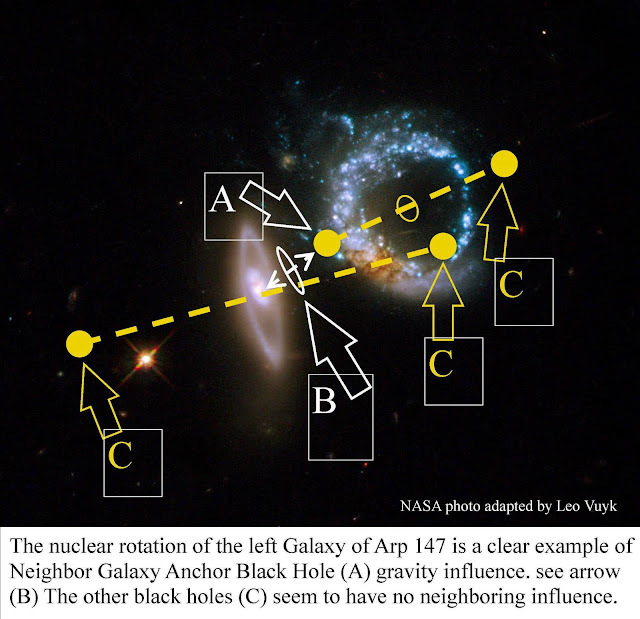 A remarkable Paper on relativity in 2009 by Reginald Cahill. (Flinders univ. au.) also suggesting that the Ether should have dynamical qualities ( dubbed: dynamical 3-SPACE) which can explain the small anomalies of relativity rules. This paper seems to be just IN LINE with the LASOF (Local Anti-Symmetrical Oscillating vacuum Frame) described on these pages. NOW I PRESENT HERE MY OWN APPROACH. 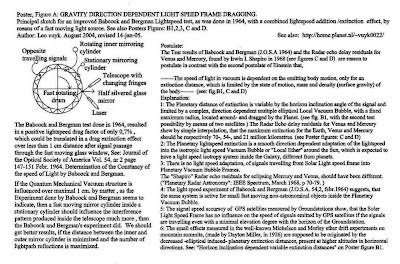 Gravity related light speed= mass related lightspeed﻿. It is well known that the sun has its own lightspeed related reference frame. All space probes have clocks which are calibrated for the probe speed relative to the solar reference frame and not related to the Earth's reference frame!! Conclusion we have to measure at what distance from the earth the lightspeed changes its reference frame to that of the reference frame of the sun. So we have to know what the minor and major axis of the ellipsoidal reference frame (called LASOF) around the earth is. Below we estimate this minor axis to be 5450 km above the earth's surface, only for directions with small angles to the earth's surface. How to teach SR by J.Bell. How, to teach special relativity. This is a clear example of how mainstream physics differ from logic relativity thinking. According to mainstream physics the thin thread between the rockets will not break because the thread with the two rockets will not change length measured by their own rulers!! "I have for long thought that if I had the opportunity to teach thissubject, I would emphasize the continuity with earlier ideas. Usually it is the discontinuity which is stressed, the radical breakwith more primitive notions of space and time. Often the result is to destroy completely the confidence of the student in perfectly sound and useful concepts already acquired'.If you doubt this, then you might try the experiment of confronting your students with the following situation. Three small spaceships,A, B, and C, drift freely in a region of space remote from other matter, without rotation and without relative motion, with B and C equidistant from A. On reception of a signal from A the motors of B and C are ignited and they accelerate gently'. Let ships B and C be identical, and have identical acceleration programmes. Then (as reckoned by an observer in A) they will have at every moment the same velocity, and so remain displaced one from theother by a fixed distance. 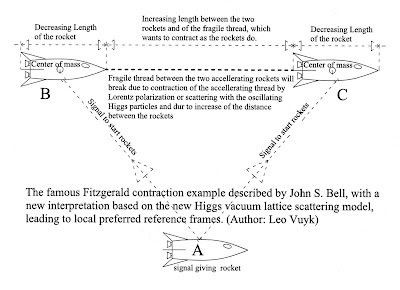 Suppose that a .fragile thread is tied initially between projections from B and C. If it is just long enough to span the required distance initially, then as the rockets speed up, it will become too short, because of its need to Fitzgerald contract, and must finally break, It must break when, at a sufficiently high velocity, the artificial prevention of the natural contraction imposes intolerable stress." I think Bell is right in his logic, also and in addition because the rockets itselfwill contract in length, which makes the mutual distance for the thread longer to span. Changing sunspot distribution is assumed to be the origin of different forms of Solar gravitational lensing, found in different experiments. 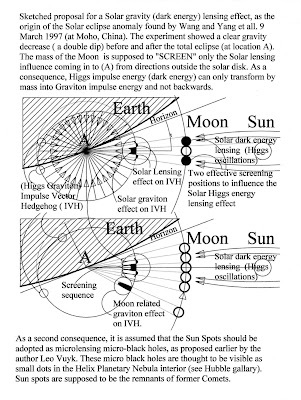 Solar-Moon eclipse anomaly solution, based on Solar dark HIGGS energy lensing. Gravity seems to be the result of the absorption of vacuum Higgs oscillations (dubbed dark energy) by Fermions, in line with the Casimir force. Consequently gravity seems to be a large scale Casimir force, giving fermions even their so called "eigen energy". Solar-Moon eclipse anomaly solution, based on Solar dark energy lensing. 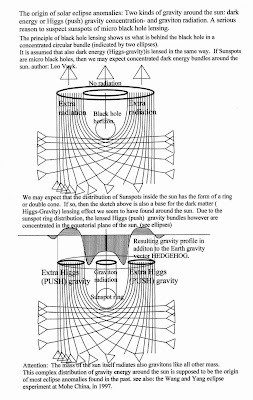 Proposal for a Solar gravity (dark energy) lensing effect, as the origin of the Solar eclipse anomaly found by Wang and Yang et all. 9 March 1997 (at Moho, China). The experiment showed a clear gravity decrease (a double dip) before and after the total eclipse (see location A). The mass of the Moon is supposed to "SCREEN" only the Solar lensing effect. 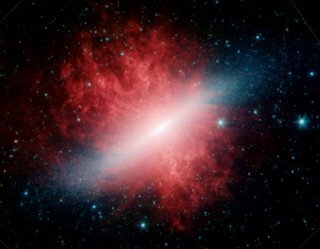 As a consequence, Higgs impulse energy (dark energy) can only transform by mass into Graviton impulse energy and not backwards. 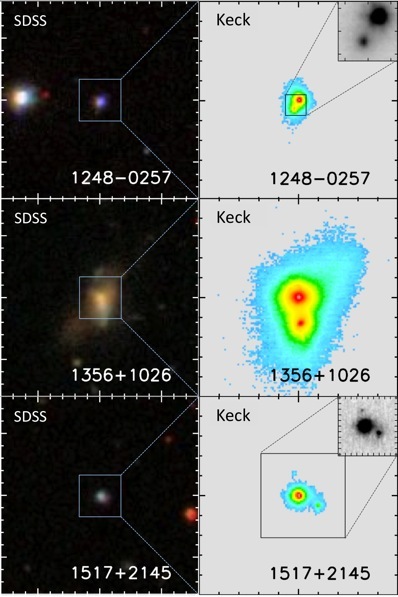 As a second consequence, it is assumed that the Sun Spots should be adopted as microlensing micro-black holes, as proposed earlier by the author. These micro black holes are thought to be visible as small dots in the Helix Planetary Nebula interior (see Hubble gallery). Sun spots are supposed to be the remnants of former Comets. At the same time, this quantum gravity solution is a support for other well known “tilt”and “pendula” eclipse effects. 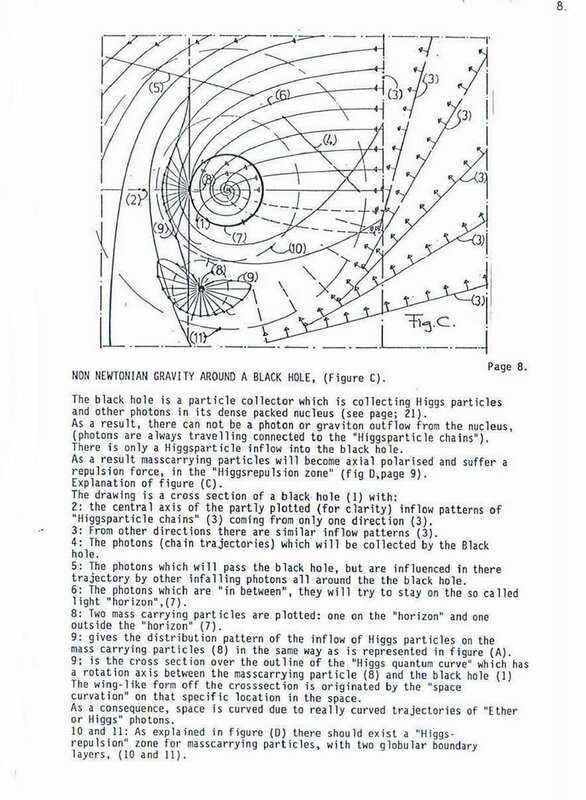 Existence of gravity lensing elements (micro-black holes) inside the Sun, Moon and the Earth. is reason to explore the eclipse results made by others in the past. As a result I conclude that not only the sun harbours gravity lensing objects inside, but also the moon and perhaps even the earth. 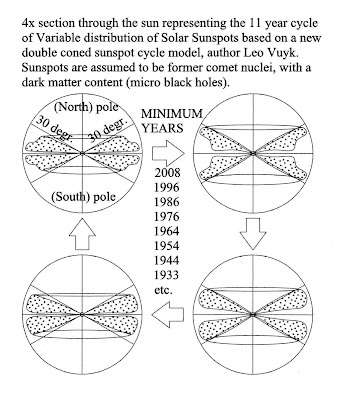 My "double gravity dip" explanation was based on the assumption that Sunspots are gravity lensing micro black holes. If we assume that the vacuum generates a (oscillating Higgs) pressure gravity from outside the earth and the earth is able to decrease this energy by changing Higgs particles into ( less energetic) gravitons then, then we have a global idea about the principle of quantum gravity based on boson scattering with fermions. 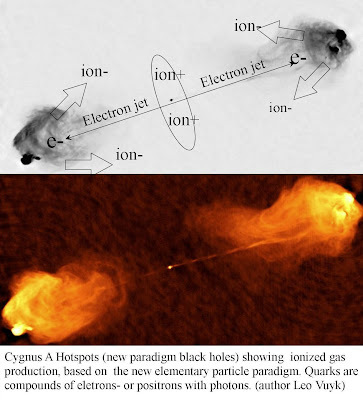 As a result I proposed that sunspots are micro black holes which are able to concentrate the Higgs vacuum gravity energy in the shape of dual bundles. The passage of the moon as a screening object of these dual pushing gravity bundles gave a direct logic explanation. However it is strange that I could find only one experiment with a similar dual gravity decrease effect. It was only T. Kuusela who found a comparable result with two gravity peaks before and after the full eclipse of 1991 in Mexico. However, these dual gravity decreasing peaks had a different character than the peaks measured by Wang and Yang in 1997. Of interest is here the difference of 6 years, which is about the difference between Maximum and Minimum Sunspot activity!! The year 1991 is close to a maximum and 1997 is close to a minimum of sunspot activity. My hypothesis is, that at sunspot minimum, the sunspots are located close to each other in the form of a disc inside the sun and at sunspot maximum they are more spread out sometimes hitting the surface of the sun. As a logical result, the gravity lensing effect will have different shaped bundle profiles. In the maximum sunspot activity period, these bundles are supposed to be spread out with incidental pencil like lensing effects due to the cooperation of two incidental aligning sunspots. This should be the explanation for the two pencil like "double gravity dip" effects measured by T. Kuusela in 1991. 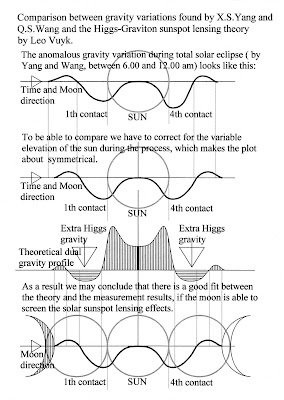 However, the short time these effects happened does indicate that ALSO THE MOON SHOULD HARBOUR ONE OR MORE gravity lensing elements like SUNSPOTS!! 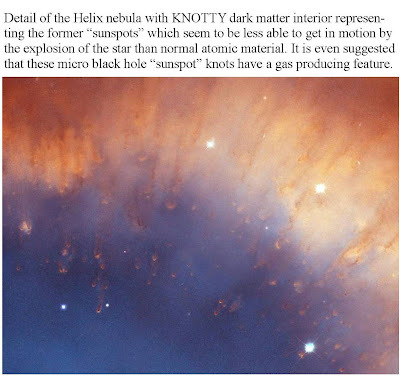 As is stated before, my assumption is that sunspots are the former nuclei Comets once smashed into the sun. As a consequence, we may assume that also the moon and the earth harbour sunspot alike ( Fermion friendly) micro black holes. 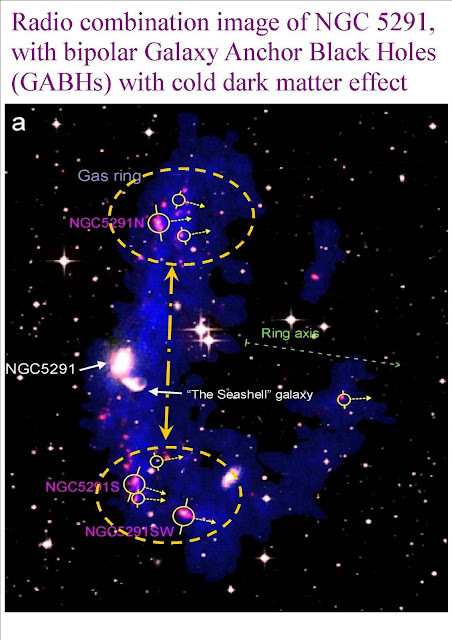 A second support for this hypothesis of interacting micro black holes, is based on the measurements of Tom Kuusela done in march 29 2006. 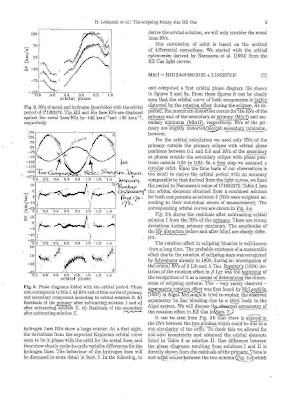 In this report we find the evidence for an east west variation of the tilt meter, which is only measured inside the centre of the moon sun eclipse line. One tilt meter placed 60 km outside this propagation line did not react at all. some extra details of the former Lightspeed anomalies. 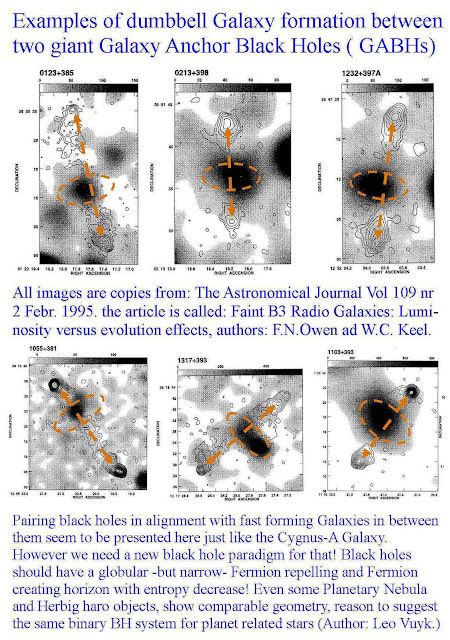 GPS signal outliers measured in 2003 ( see below) are the origin to calculate the minor LASOF axis on 11821 km. 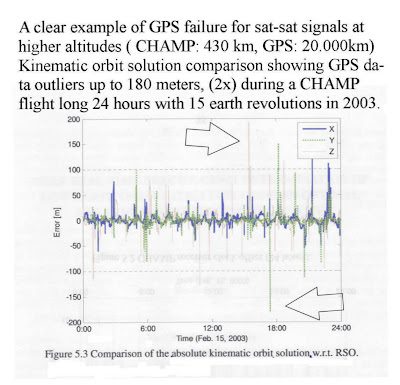 A clear example of GPS signal failures for the CHAMP Low Earth Orbiters at 430 km altitude, is one of the reasons that so called Kinematic Precise Orbit Determination (POD) by GPS readings is very complicated. Several other ground based systems and complex computer programs are needed to compensate these errors. 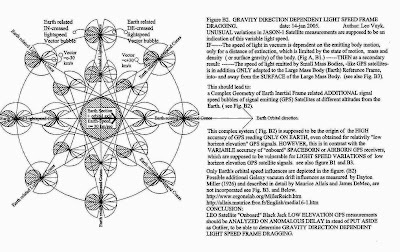 However, if the LASOF idea about gravity (or Mass) related lightspeed is incorporated in the GPS readings, then these errors are supposed to vanish for a great deal. 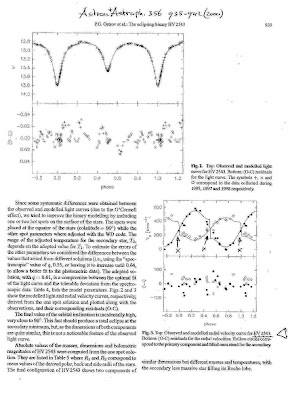 "Short Period Quasi-Regular Oscillations" of Venus and Mercury of about 30 days, are described by I.I Shapiro in Radar Astronomy 1968, page 170-172. see at the and of this file. This Binary Star system (see below) seems to be -just like Mercury and Venus- "ahead" before conjunction and "further away" after. 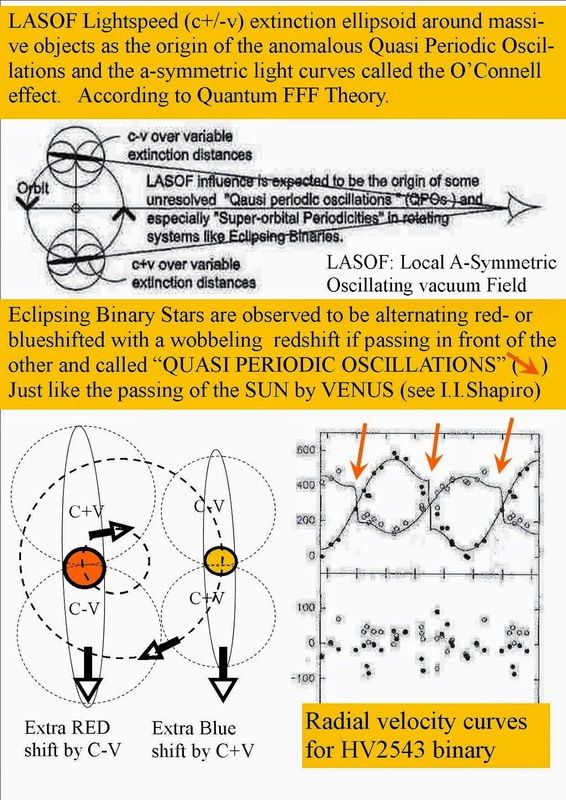 Examples of QPOs (Quasi Periodic Oscillations) or Orbital Periodicities of Binaries are supposed to be examples of gravity influenced LASOF lightspeed anomalies just like Venus and Mercury. see below: ( H.Lehmann, Binary RZ-cas. and P.G.Ostrov, Binary HV 2543). Globular and Cigar shaped LASOFs. 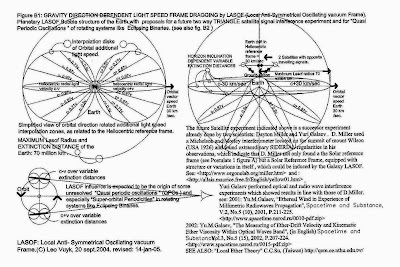 There seems to be two different shaped LASOF ( local anti-symmetrical oscillating vacuum frame) lightspeed extinction envelopes, for A: Earth bound light sources and for B: Satellite- or space based light sources. 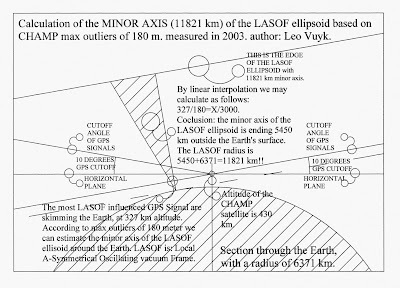 Based on sparse Formosat- Champ- Topex satellite data in combination with the small anomalies measured by G.Miller and Y.Galaev, I suggest, that for space based light sources, the LASOF envelope seems to be ellipsoidal (or cigar shaped), with the major axis coinciding to the Earth-Satellite axis of the same length and an unknown minor axis. Future satellite-GPS distance reading variations should give information about the minor axis of the cigar shaped LASOF envelope. (see before and below). 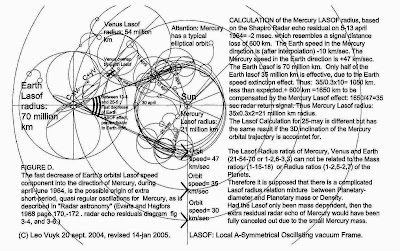 my proposal for the Planetary (Earth) gravitational drag of the Lightspeed has a realistic base, as mentioned below, then all GPS signal readings taken by other satellites should account for such an effect. 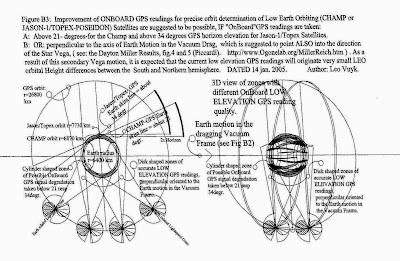 Improvement of onboard GPS readings for precise orbit determination (POD) of Low Earth Orbiting (LEO) Satellites, like Formoasat-3, Camp, or Jason-1-/Topex-Poseidon satellites and ISS, are suggested to be possible, if these readings are taken into directions without any Earth-Solar orbital lightspeed influence. A: for signals not directed into the Earth surface: Above 21 degrees above the horizontal-Earth line for Formosat-3 and Champ (both at about the same height) and Above 34 degrees for Jason-Topex satellites (cruising at higher levels) see figure B3. 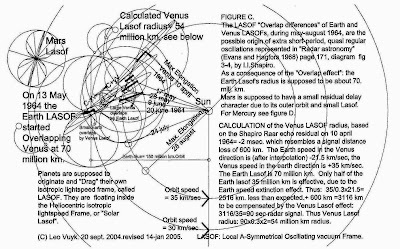 B: if the orbital speed has no influence; GPS-readings taken perpendicular to the axis of orbital motion of the Earth round the Sun. 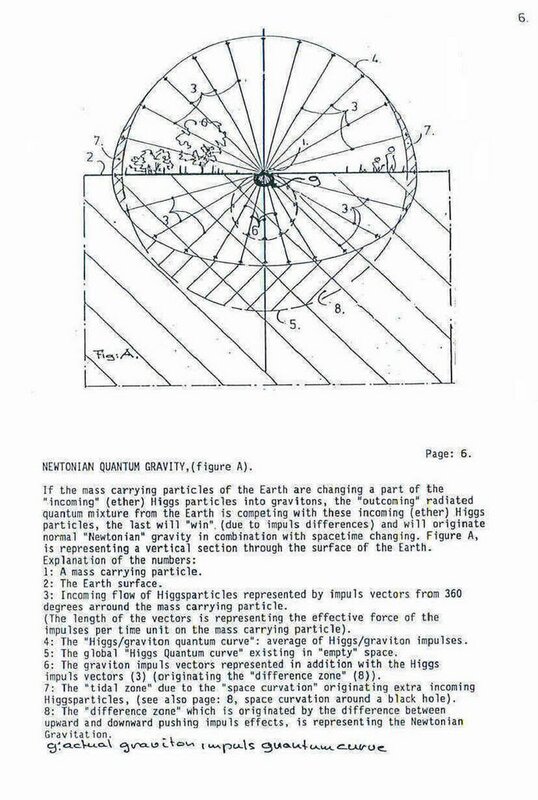 Outside these areas, the “Earth gravitational drag effect” should be incorporated into the GPS-reading calculations. This should be the case e.g. 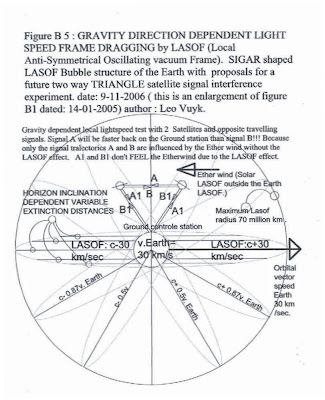 for so called LEO “GPS-occultations” skimming the Earth atmosphere. se also fig 5.3. 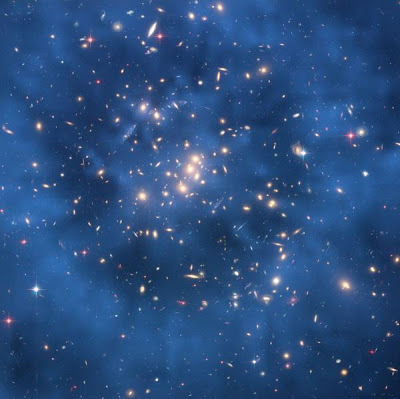 Why, because at the Planck scale, the SHAPE of particles and the way they are connected to each other and form compound quarks, seem to be the origin of the particle FUNCTION. At the Universal scale, CPT ( Charge, Parity and Time) SYMMETRY between entangled copy Multiverses with Raspberry geometry, seems the most logical solution for a theory of everything. As a consequences, we should not be afraid for Ocham’s razor who ordered to keep it simple as possible at the Planck- or Universal scale and applied to consciousness. In fact my entangled symmetry follows Ocham’s razor by keeping the choice system in nature simple. If we have a system of entangled symmetric copy universes, then I expect that by a sort of floatation of entanglement by chance, one of the copy observers is the first to suggest a specific choice (and become the subject) about 300 msec later the other observers are able to pass or veto the choice. I would call this: time-like entanglement between positive and negative energy parts of the zero energy state of dual COPY (anti-) matter universes together forming a so called "closed system": the zero energy multiverse. Why zero energy? Positive energy in the material copy universe is compensated by the negative energy in the anti-material copy universe! 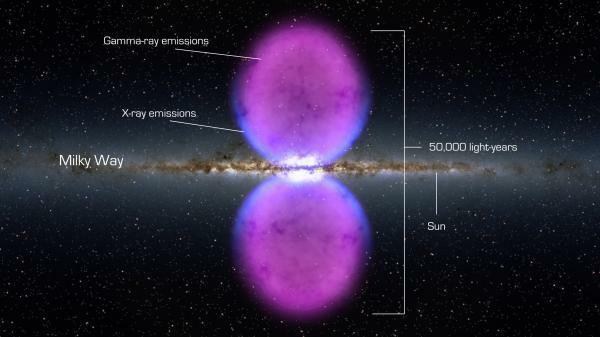 Ervin Laszlo's Akashic Field Theory is in good HARMONY with the symmetric mirror multiverse. 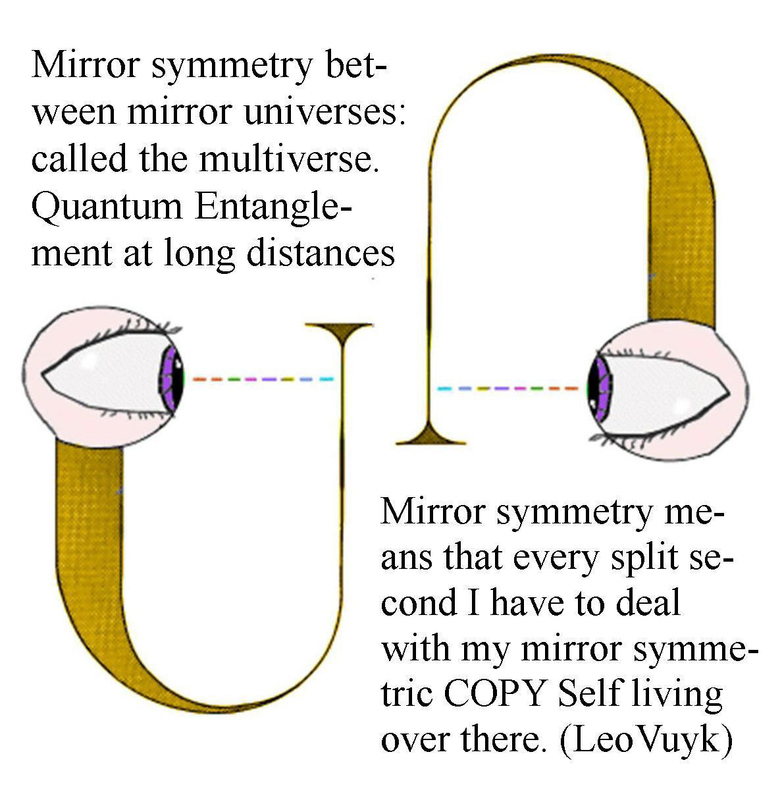 The only difference is, that my mirror universes are really mirror universes also in spin or chirality. As a consequence there are material- and mirror anti-material universes. His 2004 book, Science and the Akashic Field: An Integral Theory of Everything posits a field of information as the substance of the cosmos. Using the Sanskrit and Vedic term for "space", Akasha, he calls this information field the "Akashic field" or "A-field". He posits that the "quantum vacuum" (see Vacuum state) is the fundamental energy and information-carrying field that informs not just the current universe, but all universes past and present (collectively, the "Metaverse"). 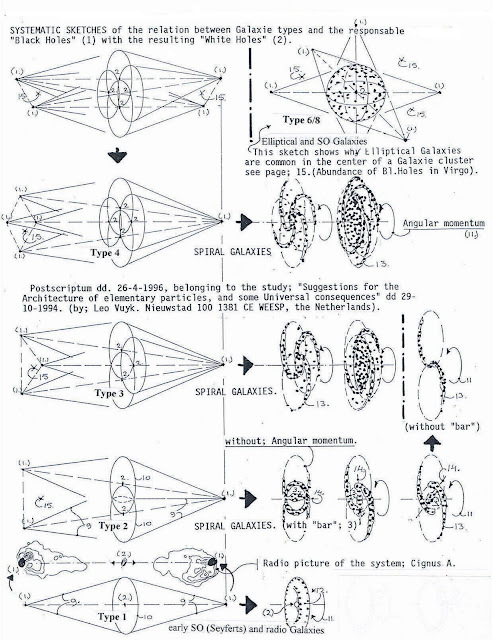 "There is a form and level of coherence in the various domains of observation and experience that involves a quasi-instant transmission of information across space and time...I present evidence that "nonlocal coherence" is widespread in nature, occurring in the macrodomain of the universe, in the microdomain of the quantum, as well as in the mesodomain of life... I show that (i) phenomena of nonlocal coherence are logically interpreted as the transmission of a non-conventional yet physically effective form of information termed “in-formation”; (ii) this transmission is the effect of a universal field in nature; and (iii) the universal in-formation field is the scientifically identifiable functional equivalent of the fundamental metaphysical element known in Sanskrit and Hindu metaphysics as Akasha." László stated in his book You Can Change the World that there is global choice for coming world crisis. One that can come in the form of a global breakdown centered on increasing fragmentation of economic inequality and a new arms race from rising powers. The other choice would be a global breakthrough led by international organizations. This would be by the linking of non-government organizations promoting sustainable development link using the internet. A Macroshift is defined as a popular movement to turn the tide from a global breakdown to a global breakthrough. László sees the years 2012-2020 as a critical period to change the course as the coming crisis is taking shape in geopolitical current. Free Will inside the multiverse. 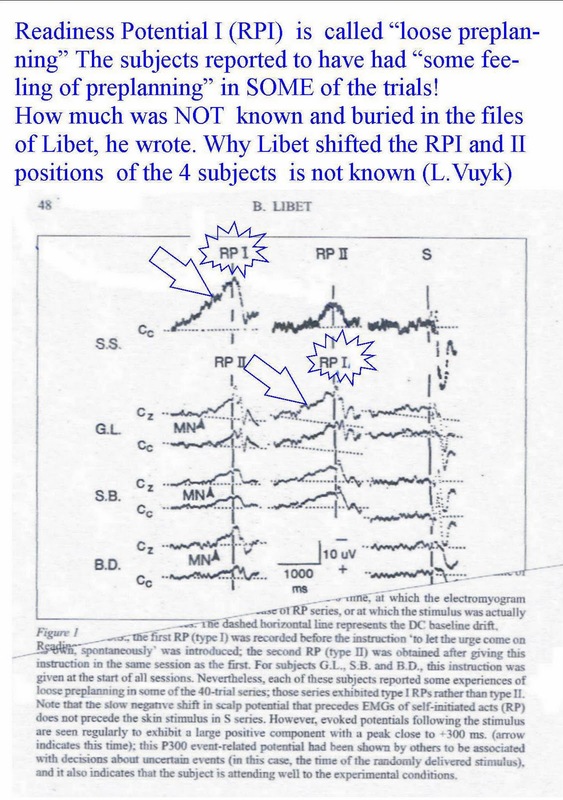 Benjamin Libet measured the so called electric Readines Potential (RP) time to perform a volitional act, in the brains of his students and the time of conscious awareness (TCA) of that act, which appeared to come 500 msec behind the RP. The “volitional act” was the by free choice pressing on an electric bell button. We would expect that based on causality the Time of Conscious Awareness (TCA) ALWAYS comes before the electric RP, which is found to be present in our head because this would be the proof that we humans are equipped with the free will to press on the button at the moment WE are also conscious to do that!!!. A causal but weird Multiverse solution.If we assume that the postulated that we are living inside one of the 12 copy universes, which are each others observer by “mutual entanglement” to trigger randomly and alternating the collapse of the copy wavefunctions, (thus also to trigger a volitional act, like Libet's subjects) in the other 11 universes. Then as a consequence, we may expect that only a small part of the students will report to have had the conscious intention to act earlier. Thus in the case of 12 entangled universes we may expect that 1/12 part or 8,3 % of all (human) timing of conscious intention to act, will show a reversed timing sequence between the so called Time of conscious awareness (TCA) which will come BEFORE the electric Readiness Potential (RP). 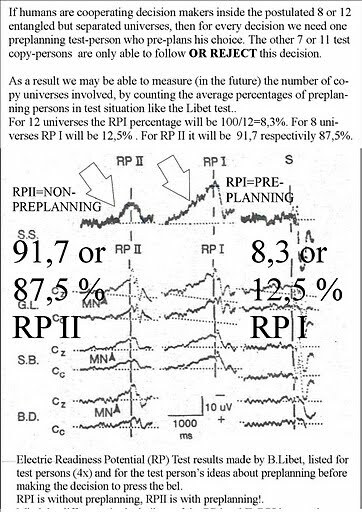 The Benjamin Libet percentage results of pre-planning (RPII) are very poor quantified in his and later experiments. He wrote to me inprivate, that these numbers where "buried" inside his files and therefore, he was not able to produce them. I my view this is a good reason to do it again with more precision on the readiness potential percentage differences between RPI and RPII..If humans are entangled cooperating decision makers inside the postulated 8 or 12 entangled but separated universes, then for every decision we need always only one preplanning test-person who pre-plans his choice. The other 7 or 11 test copy-persons are only able to follow OR VETO this decision. So; the base for Free Will is the possibility to VETO and act or decision. Max Tegmark and John Cramer Combined. Contrary it is a big surprise that:At the Planck scale, the SHAPE of particles seem to be the origin of the particle FUNCTION.As a result: FUNCTION FOLLOWS FORM in particle physics.At the Universal scale, CPT ( Charge, Parity and Time) SYMMETRY between multiple Universes seems the most logical solution for a theory of everything. Two independent research results of Tegmark and Cramer combined, are painting a new entangled multiverse picture the CPT symmetric Multiverse, in the form of a set of symmetric ordered bubbles like a giant Raspberry. Max wrote:Is there a copy of you reading this article? A person who is not you but who lives on a planet called Earth, with misty mountains, fertile fields and sprawling cities, in a solar system with eight other planets? The life of this person has been identical to yours in every respect. But perhaps he or she now decides to put down this article without finishing it, while you read on.The idea of such an alter ego seems strange and implausible, but it looks as if we will just have to live with it, because it is supported by astronomical observations. 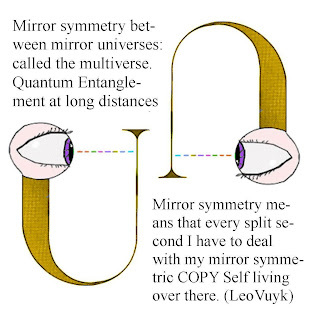 then we could - without any QM hesitation- assume that these Anti-Mirror Copy universes form TOGETHER a Quantum Mechanical "Closed System" in the pure meaning of Classical Quantum Mechanics. They are each others non-local ( distant ) "OBSERVER" and anti-mirror "OBSERVED SUBJECTS" with opposite running time. However as a small addition, we have to assume that "anti-copy events" in both universes, are subtle and random phase shifted in time to realize the at random chioce between who is the OBSERVER and who is the OBERVED SUBJECT.. It also looks a real opportunity to say more about how CONSIOUSNES is working in the same “entangled” way.Best Regards,Leo Vuyk,Architect. Free Will, the Multiverse and Benjamin Libets Readines Potential. 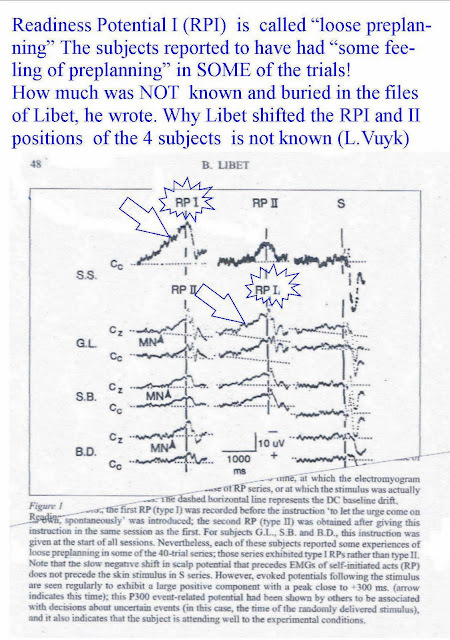 Benjamin Libet measured the so called electric Readines Potential (RP) time to perform a volitional act , in the brains of his students and the time of conscious awareness (TCA) of that act, which appeared to come 500 msec behind the RP. This result gives still an ongoing debate in the broad layers of the scientific community, because it is in firm contrast with the expected idea of Free Will and causality. 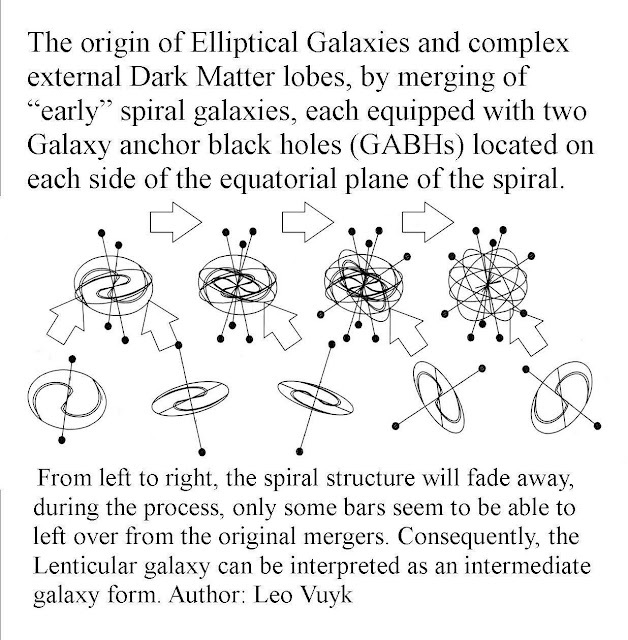 However, if we assume that the postulated 12 copy universes are each others observer to trigger randomly and alternating the collapse of the copy wavefunctions, (to trigger a volitional act, like Libet's subjects) in the other 11 universes. tract Trevena an Miller found surprisingly, that up to 20 % of all cases of human timings of Conscious intention to act, should be accounted as reversed in sequence thus:TCA before Lateral RP. "The new data of Trevena and Miller (2002) indicate that the average time of the LRP still precedes the TCA, but by much less than does the RP. However, Trevena and Miller argue that the averaging process can distort the story and that one needs to look at the percentage of times that the timing is reversed (TCA coming before the LRP). They find that 20% of the time the TCA occurs before the LRP. Based on that finding it is likely (they say) that the conscious decision to act comes before the LRP. A bias of 100 msec in the TCA could upset Trevena and Miller’s argument since the 20% with TCA before LRP would decrease substantially. When the average TCA is shifted from 2200 ms to 2100 ms it is unlikely that there will be many occasions in which the LRP comes after the conscious decision to move. I will go through the topic of bias carefully with special attention to the flash-lag effect (Nijhawan, 1994). I argue that the forward referral of the flash-lag effect, not a backward referral that had been suggested for this purpose, can compensate for the perceptual delay latency." 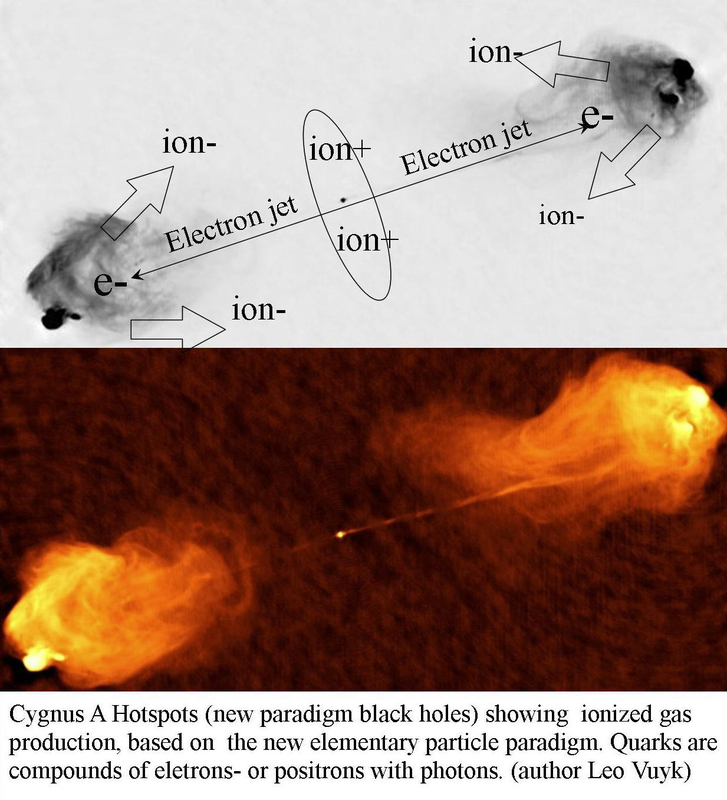 A second indication is that Multiple entanglement or coherent entangled states of ions are recently found to exist. E.g. As a consequence, If future experiments could be made more focussed on this issue, then perhaps we could find support for the hypothesis of such 12 fold trigger mechanisms to collapse every time a set of 11 fold copy wave-functions inside the other 11 fold entangled copy- universes. Then we could find a firm foundation for human and material consciousness. 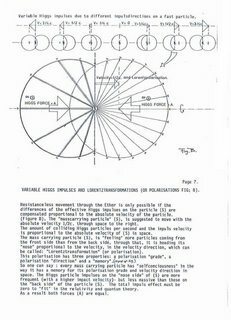 A Solar Toroidal Programmable ROM, (STP-ROM) combined with the Earth related collective Planetary consciousness. If the oscillating vacuum lattice really has complex features as is described in this paper, e.g. for the LASOF (Local Anti-Symmetrical Oscillating vacuum Frame), the directional memory for Quarks or Leptons and Photonic information etc. etc, then we may call this vacuum lattice a kind of universal quantum memory. If in addition, each vacuum particle within the vacuum lattice has the possibility to act as a "Programmable Read Only Memory" (STP-ROM) then the vacuum has huge and awful memory abilities with a base for even paranormal (ESP) effects.. It is an interesting step to combine the idea of Frank Tipler, that all information created in our universe will always be indestructible memorized, with Rupert Sheldrake’s idea of "Morphic Fields" and Teilhard de Chardin’s Noosphere. 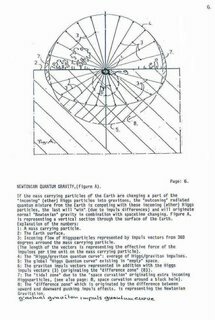 Then it is only a small jump to speculate that the Earth -as a whole- is imprinting its changing existence including all people and all people’s thoughts, into the Solar referred oscillating quantum vacuum (OQV) lattice, on each single Planck time. At the same time this Solar OQV should be interpreted as an awful 3-dimensional ever growing STP-ROM without delete options. 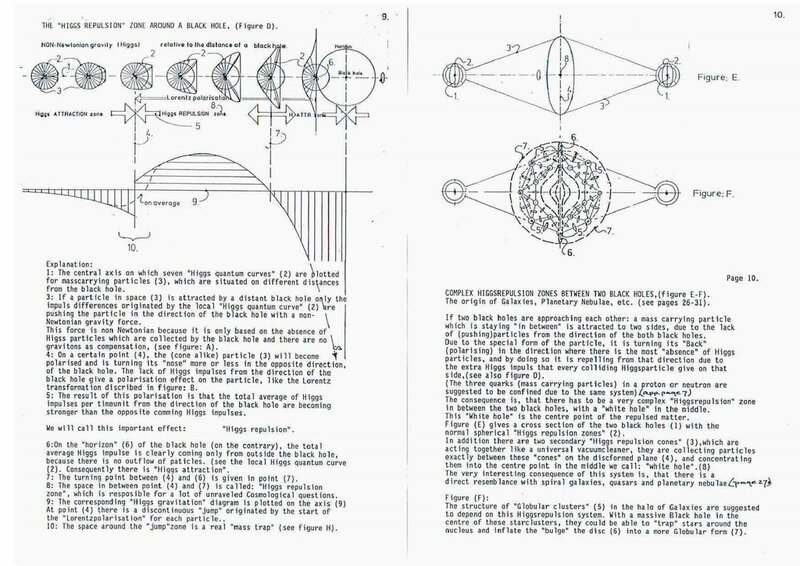 The Solar STP-ROM is supposed to have physical existence in the form of a huge Toroidal 3-D volume within the OQV representing the orbit of the Earth around the sun in one year. If we assume, that people and animals, thus even all animate matter are "connected" to this STP-ROM, then it could be the origin for all our dreams and creative intentions an intuition. It could function as a so called “Intuition Pump” mentioned before by Daniel Dennet. 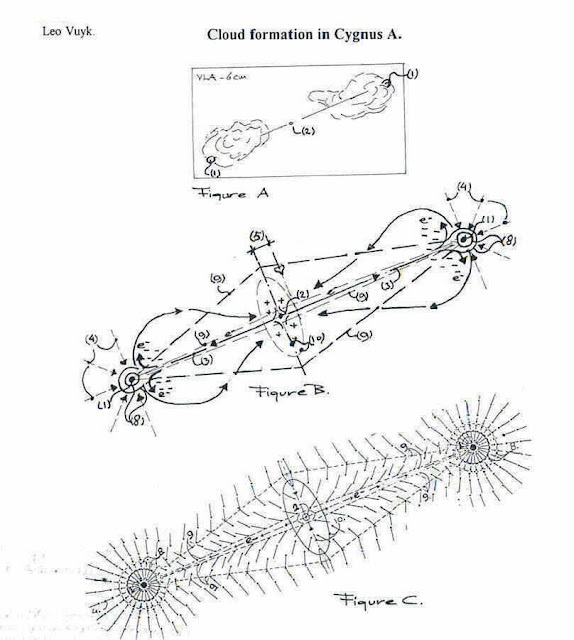 Together with Big Bang Entanglement (BBE), we could even introduce the ability to have telepathic communication as described by R. Sheldrake via non-local instantaneous entanglement what he called "Morphic Fields and Morphic Resonance". (see , page 36). 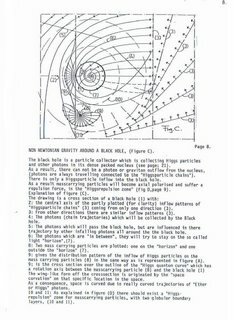 If the Solar Toroidal vacuum STP-ROM does not rotate with respect to the Galaxy, then even astrological ideas could become physical reality. The Human Character, and the Selection Mechanism on his own Solar Toroidal STP-ROM track. 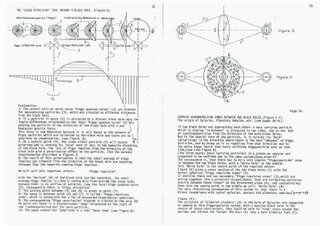 If we interpret the Solar STP-ROM as a growing data base of the Earth, memorizing all human ideas and actions of the past, and is supposed to be the origin of our creative intuition and dreams, then there must be something like a Solar STP-ROM SELECTION MECHANISM for each SINGLE person. Each person should be continuously connected with only a reduced set of "STP-ROM TRACKs" OUT OF THE HUGE INFORMATION CHAOS OF THE SOLAR TOROIDAL STP-ROM. By the orbit of the Earth through the Solar Toroidal STP-ROM, the intuitive information stream is supposed to have a continuous character. It is well known that humans suddenly are able to change Character, or show a variable Character. This could be explained by an instability of his SOLAR TOROIDAL STP-ROM TRACK SELECTION MECHANISM. Speculations about The Human Trinity of Soul, Spirit and Mind. Soul or Human Character. As a consequence of the postulated Solar Toroidal Programmable STP-ROM memory and the human selection mechanism, it is suggested that each human has its own more or less stable character (also called: soul), which is assumed to be based on continuous interaction with this Solar STP-ROM Selection Mechanism and is based on personal DNA profile related chemical influences. Spirit or Human intelligence (and learning abilities) is supposed to be based on his DNA profile and physical functioning of the brain. Mind or Human Self-awareness ( Consciousness) is supposed to be the ability to make more or less balanced choices between the DUAL CHOICE-SOLUTION INPUT, given by his character and his intelligence. As a consequence, humans are supposed to be a Trinity of: Soul Spirit and Mind, or: Character, Intelligence and Self-awareness. The more Mind/Self-awareness a human has evolved, the more he is supposed to be able to be aware of the differences between the input of his Soul/Character and the input of his Spirit/Intelligence, the more he is able to make balanced decisions and to be responsible for his actions, the more he is able to realize his modest Free Will. Telepathy and ESP (Extra Sensory Perception) by a Distant STP-ROM Selection. If all human and animal thoughts and actions on Earth are stored at specific locations within the awful memory capacity of the local vacuum as described before, then it is only a small jump to postulate that animals and humans can have LOCAL telepathic experiences by an EXTENDED so called "STP-ROM Track Selection" (SRTS) mechanism" mentioned before. However it is hard to explain how it is possible to bridge large distances, as is claimed by R. Sheldrake. Based on the "extended" STP-ROM Track Selection Mechanism, it is obvious that Humans and Animals who are in each others NEIGHBORHOOD should be able to make contact with the local vacuum framed STP-ROM to communicate. For animals this would solve the problem of how birds are able to navigate in huge swarms, and how Ants are able to organize their community etc. To solve the LARGE DISTANCE telepathic phenomenon however, we are forced to postulate, that a kind of EPR or Big Bang Entanglement (BBE) communication is possible not only between copy quantum mechanical systems living in different universes, but also between different humans or animals on Earth by DISTANT vacuum based STP-ROM selection. Rupert Sheldrake’s solution of "Morphic Resonance" could then be called "Distant STP-ROM Track Selection" (D-SRTS). It is assumed, that items like "Remote Viewing", and "Extra Sensory Perception" (ESP) are based on the same footing as Telepathy. However, in "Distant STP-ROM Selection" there is no base for explanation of "Future Precognitive Clairvoyance", unless the concept of Free Will is restricted which we did before. Reduced Free Will by STP- ROM, and Precognitive Clairvoyance. If all our intentions and urges are directly or indirectly originated by “reading” our STP-ROM track, written and digital filed inside the vacuum particles around us or far away, then Free Will is at least reduced. Then Free will is reduce to the guiding ability of making balanced (EGOISTIC OR ALTRUISTIC) choices YES or NO , between STP-ROM track input alternatives. Then all our intentions and urges and even our creative ideas are predetermined, but we are still able to VETO these ideas and wait for an predetermined alternative idea. Consequently our human intelligent reasoning, is a process which is based on the VETO or PASS process within 200 milliseconds of the autonomous predetermined ideas, urges and intentions. If we take only the most appealing fraction serious of reports of precognitive clairvoyance in the literature, we can not deny that some Animals and Humans represent more or less the skill for Precognitive Clairvoyance of their own individual future but also from others. If we accept that animals and humans have more or less the skill for Precognition by "DISTANT STP-ROM TRACK SELECTION", not belonging to their “ own” track but belonging to other individuals, or animals, then this mechanism may work as a direct input for Precognitive Clairvoyance. HOWEVER the future is still not fixed by these phenomena because each person may be thought to be able to change his characteristic balance in egoistic or altruistic choice processing by vetoing or pass these predetermined urges and intentions. If the Future is partly defined by the Past, we “remember the Future”. The Future must be mainly defined by the Past if the so called "Solar Toroidal Programmable ROM" STP-ROM, thought to be present around the Sun, can be read out as is suggested before and is supposed to be our main input of our intentions and urges (creative “Intuition Pump”). It is also assumed before as a possibility to explain Telepathy and Precognitive Clairvoyance. However if we stick to this model, and all our private intentions and urges, thus all our creative ideas, are created by reading our personal STP-ROM vacuum memory "track", which is at the same time assumed to file all our private thoughts and actions, then it is clear that the future is mainly created by the past. Mainly because our personal Free Choice between egoistic and altruistic choice solutions may vary within small boundaries. Then A second proposal can be made, that not all our memory need to be filed in our brains, but also in our personal STP-ROM Track, circling around the Sun as large as the orbit of the earth, as my personal spiral track, for my creative input memory. It could be an interesting future experiment, to file our personal intentions and urges throughout the year and compare our new intentions and urges the following year in a day to day sequence. SO WE MAY REMEMBER THE FUTURE! Astronauts lose dreams and “Intuition Pump” input outside the STP-ROM area. 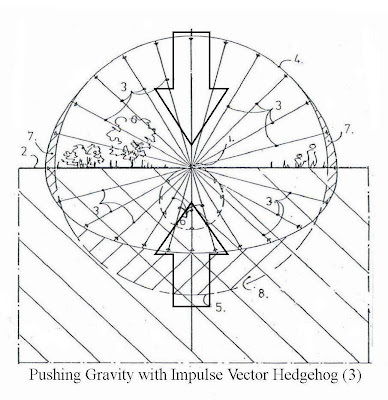 As a consequence of the STP-ROM (Solar Toroidal Programmable ROM) concept, Astronauts should have loss of dreams, and intuition pump input, in space if they move outside the STP-ROM toroidal area. 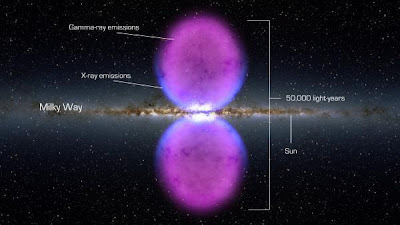 At the same time it must be assumed that the STP-ROM area probably will expand in time into the direction of the sun, because the oscillating vacuum frame is "eaten" by the solar sunspots, so the vacuum and consequently the STP-ROM, is slowly moving into the direction of the sun. 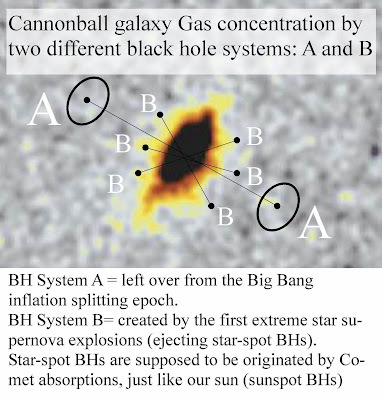 The solar sunspots are supposed to be small black holes, constantly "eating" the vacuum. 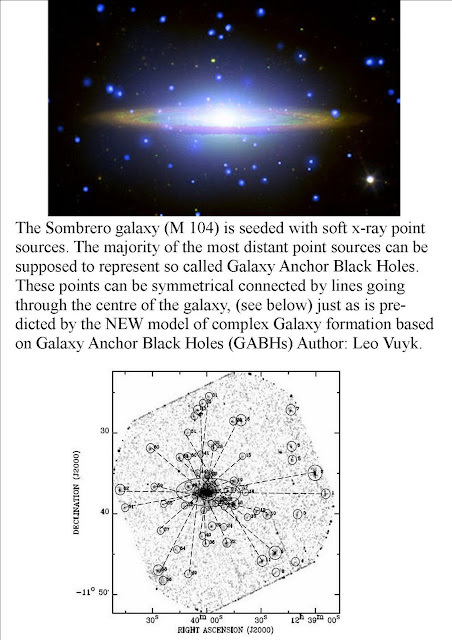 So called Stellar Anchor Black Holes (SABHs), located on both sides of the sun (supposed distance = 0,5-1 light year), will have a slight expansion effect on the vacuum and thus also on the STP-ROM toroidal shape. As a consequence, an astronaut moving in space between the Earth and the sun will dream about more historical items than he will dream on earth. An astronaut moving at the opposite side of the Earth, will not dream at all. If we combine these different thoughts about Nature and our existence on Earth, it seems that the first goal of life in our dual universes could be described as: the creation of human Love and Hatred, peace and aggression, together with moral awareness by transactional free will, based on human retarded EPR correlation between dual copy universes. As a result it is assumed that two kinds of communities are possible. This can be a social- or non-social community, respectively based on human cooperation or human repression by the few. 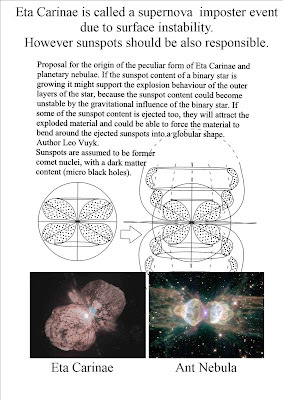 The second goal of life seems to be the creation, extension and storage of a "Cosmic collective Earth connected Planetary Vacuum Memory" which is coined: STP-ROM (Solar Toroidal Programmable Read Only Memory). 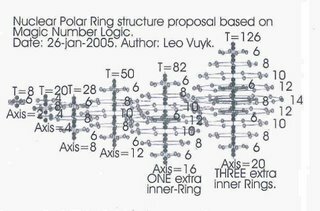 A Mathematical challenge to translate a new geometrical ( Polar Ring) system for magic numbered nuclei, into one formula. The Large Hadron Collider at Geneva, is perhaps able to find traces of the AXIAL POLAR RING SYMMETRY of ion nuclei in their heavy ion program by the CMS (Muon) detector. 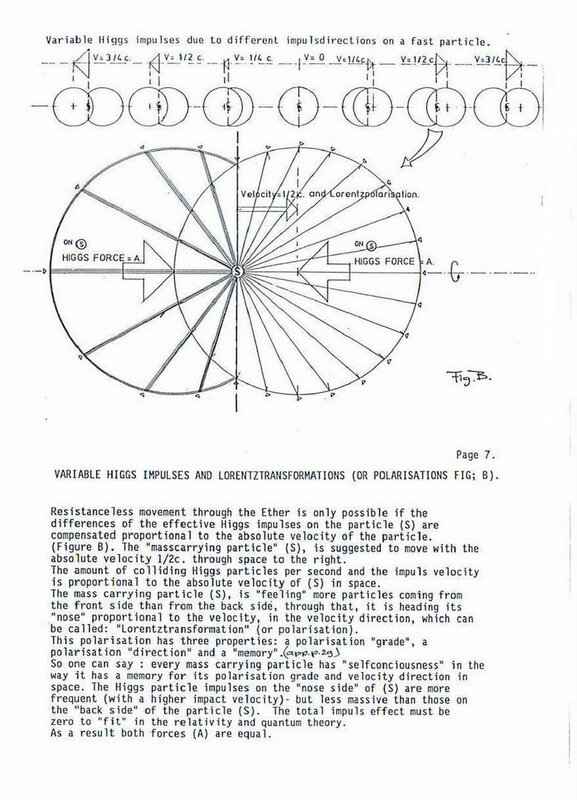 The results could even give new information on the nuclear geometry described below. The CMS experiment at CERN’s Large Hadron Collider (LHC) has recorded its first lead-lead collisions at an energy of 2.76 TeV per nucleon pair, marking the start of its heavy ion research program and the search for "axial symmetry of nuclei". 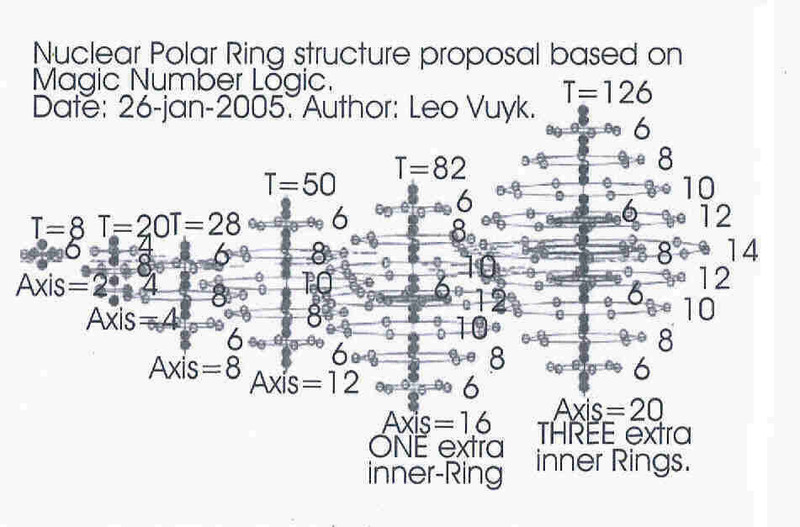 New NUCLEAR POLAR RING geometry of atoms, based on MAGIC NUMBER logic. Proposal for a new 3-Dimensional nucleon system for atomic nuclei, based on magic numbers. Each nucleus has only one polar central axis with an even number of nucleons on it in combination with one or two equatorial symmetric coaxial ring systems. There are TWO ring systems possible in a symmetric co-axial combination located around the central axis: coined an INNER and an OUTER RING system. Only the two highest numbered magic numbers: T=82 and T=126 seem to be equipped with this inner ring system. The existence of a linear shaped axis of an even numbered string of nucleons. The axis symmetrical oriented even numbered strings of nucleons in ring shape, perpendicular oriented to the central nucleon axis. The whole nuclear geometry, all together in more or less globular shape and as such with axis- and equatorial symmetry. If the nucleon number of 82 is reached, an additional equatorial "inner" ring of 6 nucleons is present. 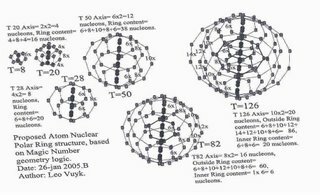 For 126 nucleons this number is raised to 20 nucleons devided into three rings with 6,8,and 6 nucleons. The existence of a linear shaped axis of an even/or ODD numbered string of nucleons. The axis symmetrical oriented even/or ODD numbered strings of nucleons in ring shape, perpendicular oriented to the central nucleon axis. According to my two kinds of nuclear structure of the T=20 nucleus, I would expect that there are two kinds of Calcium (z=20) atoms. I am not a nuclear specialist, so I am not able to point into examples for calcium. 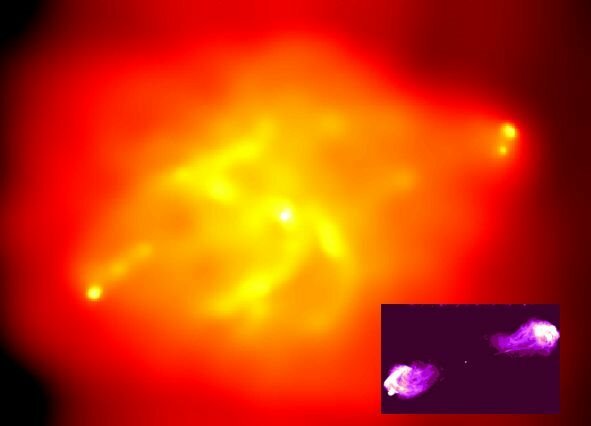 I would expect that the proton structure should have an axial amount of 6 protons, combined with three rings of 4,6,4 nucleons. On the three (3) INNER ring: =6,8,6=20 nucleons. On the three (5) INNER ring: =6,8,10,8,6=38 nucleons. 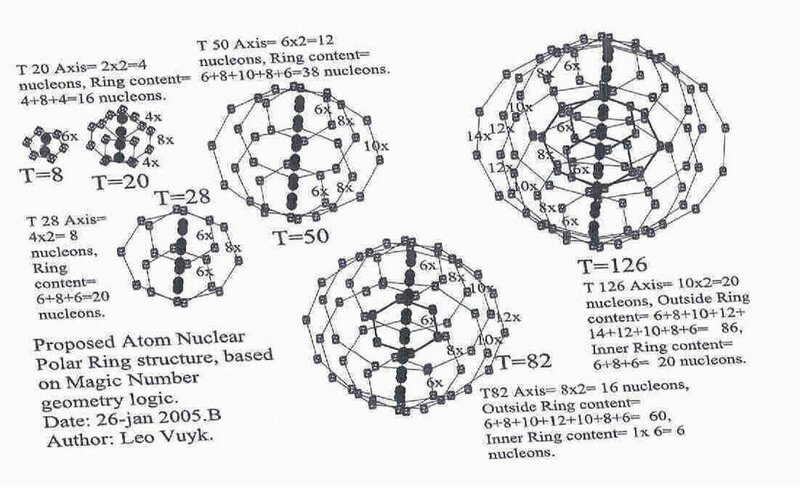 On the nine (11) OUTER rings: 6,8,10,12,14,16,18,16,14,12,10,8,6,= 146 nucleons. On the three (5) INNER ring: =6,8,10,12,10,8,6=60 nucleons. On the ONE extra INNERring: =6,8,6=20 nucleons. Conclusion : between 126-184 and 254, we do not expect to have REAL islands of stability. Newscientist; 2011 preview: No 'magic' element just yet. Elements occupying the far depths of the periodic table are so exotic and ephemeral it seems as if they are only barely there. In early 2010, when physicists announced the creation of the superheavy element ununseptium, even the handful of atoms that were made decayed into smaller ones in a fraction of a second.